Jazz singer Katharine Timoney is one of five young musicians from Northern Ireland who have been awarded the Young Musicians’ Platform Award by the Arts Council of Northern Ireland and BBC Northern Ireland. 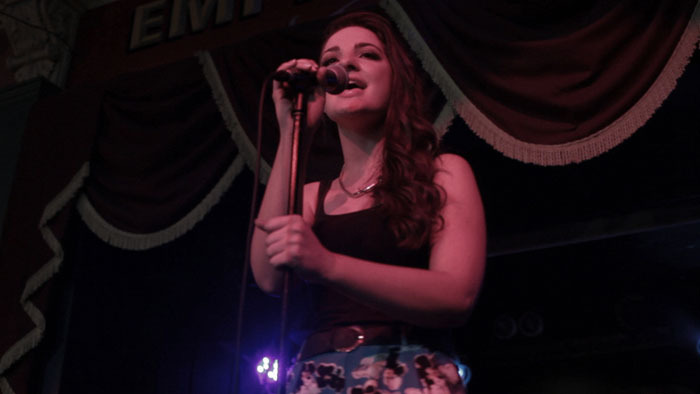 Last on our radar in 2016 Katharine as noted back then in these pages has more than paid her dues jamming on the lively Belfast scene and developing her craft as a singer and performer in a relatively short space of time. Her debut jazz album Man of Mine was released in December that year and what impressed us most at the time was ‘Paris’ the ear-catching pick, a kind of a rumba with space for trumpet solo and oodles of dreamy nostalgia. The contemporary highly popular spirit of Caro Emerald hovered over the album, as much as in the “guy songs” Billie Holiday inevitably yet the register of Timoney’s voice is considerably higher than Lady Day’s, closer to Emerald’s in this respect, the refreshingly non-maudlin mood as optimistic and likeable as any Emerald number.